Samsung's new Gear S3 Frontier and Gear S3 Classic were unveiled with Samsung's pomp and circumstance, and released its newest wrist wearables globally in November, leaving consumers some weeks on end with which to become acquainted with the two models. 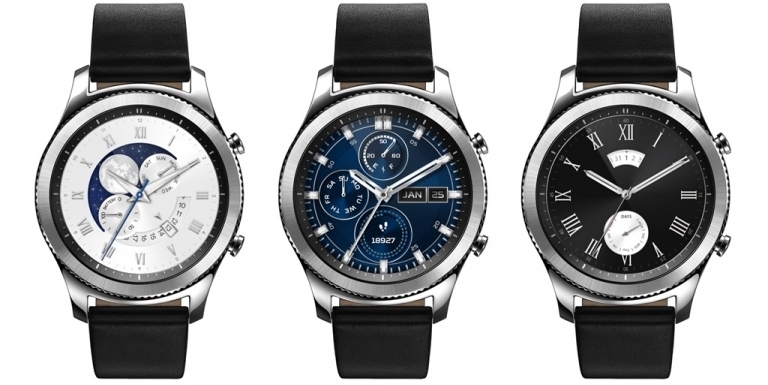 One distinction between the two models apart from the stylistic differences of the Frontier and Classic is that one bears LTE connectivity (Gear S3 Frontier) while the other, Gear S3 Classic, does not. This means that Gear S3 Classic lovers who purchased a Gear S2 Classic will find themselves disappointed in this area. Well, unless you live in Samsung's home country. To add to its exclusive smartwatch launch, SK Telecom not only launched the new smartwatch but also created a "Gear Happiness Compensation Program" to award those who trade in their current Gear smartwatch for a Gear S3 Classic LTE model. The program is valid for customers through March 31st. It seems at this point that the Gear S3 Classic LTE is exclusive to only SK Telecom and South Korea, with little word on if (or when) the new LTE-connected Gear S3 will reach the remaining parts of the world. Stay tuned here as we'll be back to let you know if anything changes.